Ginger Nut Creative is an independent graphic design & website design company based in the beautiful village of Lymm, in North Cheshire. Having been established for seven years, with a lead designer (Peter) who has worked both in agencies & freelance, GNC is perfectly positioned both geographically and creatively to work with clients across the North West. …however, this doesn’t preclude us having clients from Exeter to the Orkney Islands as well! 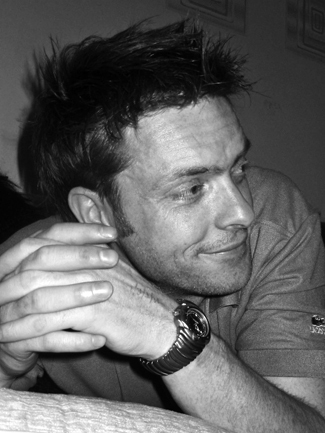 Ginger Nut Creative came about in 2008 as a result of Peter’s passion to offer clients great graphic design & great added value at affordable prices. The timing happily coincided with the birth of the second of his three redheaded children….and so simultaneously Ginger Nut Creative was born. GNC now works with a collaboration of fantastic people across the creative spectrum to ensure that sole-traders, SMEs and large companies, enjoy their creative experiences and get great creative input at whatever point they are in their marketing process. We have worked with a huge variety of different businesses and clients across a variety of industries, which is reflected in what we can offer and our portfolio. To find out more about what GNC can do for you too, have at look at our portfolio & case studies. Every project no matter how big or small undergoes a process, this allows us to deliver and exceed expectations. Before we start, we will listen to your requirements and what you want out of the project. More importantly we will deliver what is right for your business. We need to know more about you, about your customers, your market and your competitors before we can begin. We can't produce a website / brochure without knowing what you need to say, to whom and in what way. Don't worry we have people to help with copywriting if you need them. This is the fun part. We research, we design, we consult, we refine . . .
We pride ourselves on the delivery of your final project, on time and on budget.